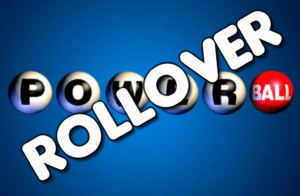 It seems the US Powerball is headed towards yet another big payout! During last Saturday’s draw, lottery officials confirmed that no one won the jackpot. 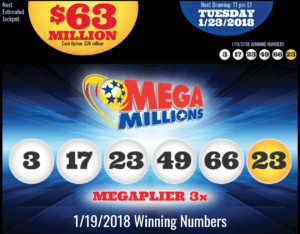 So, what was supposed to be a $79 million jackpot, will now become $92 million—with a cash option of $56.8 million—come Wednesday, January 24. As for secondary prizes, no one matched the five white numbers so no one will go home $1 million richer. The silver lining is that there were two tickets that matched four white balls in Michigan—which means each will walk home with $50,000. The winning numbers were: 26-28-47-49-58, Powerball: 3, Power Play: 4x If you purchased tickets for the January 20, 2018 US Powerball draw, check them again because you might be among those who won secondary prizes. Overall, there were 619,961 winners who won at least $4 each. Some 300 letters have been sent to Ohio lottery winners after the city of Dayton discovered that there were countless unpaid taxes on lottery winnings that go all the way back to 2014. Around $35,000 have been collected since the city’s government started its initiative during October last year. While not all municipalities tax lottery winnings, the city of Dayton reports prizes $600 and up to the IRS. Since 2014, around 9,000 lottery players have won at least $600. So, if you received a letter—or if you won in an Ohio lottery draw before—don’t prolong paying what you owe in taxes any longer!